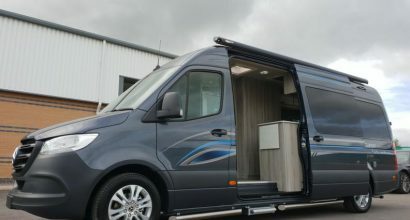 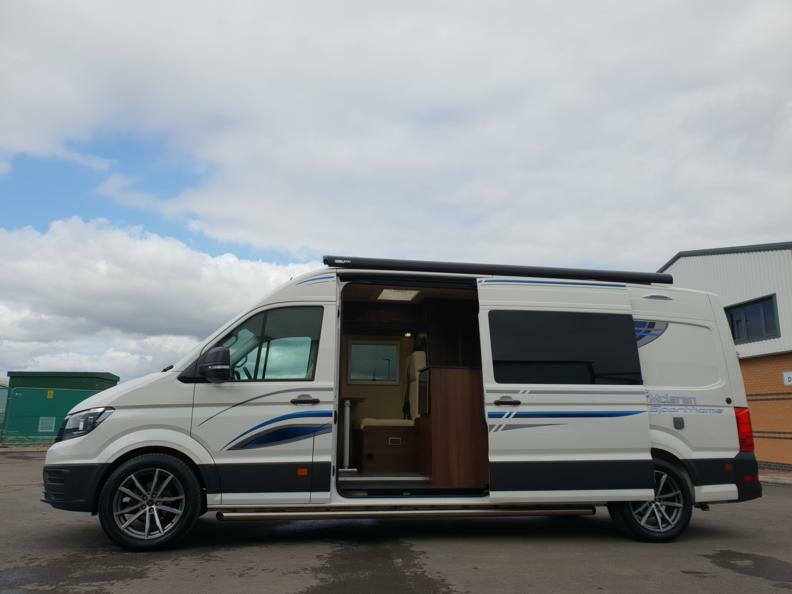 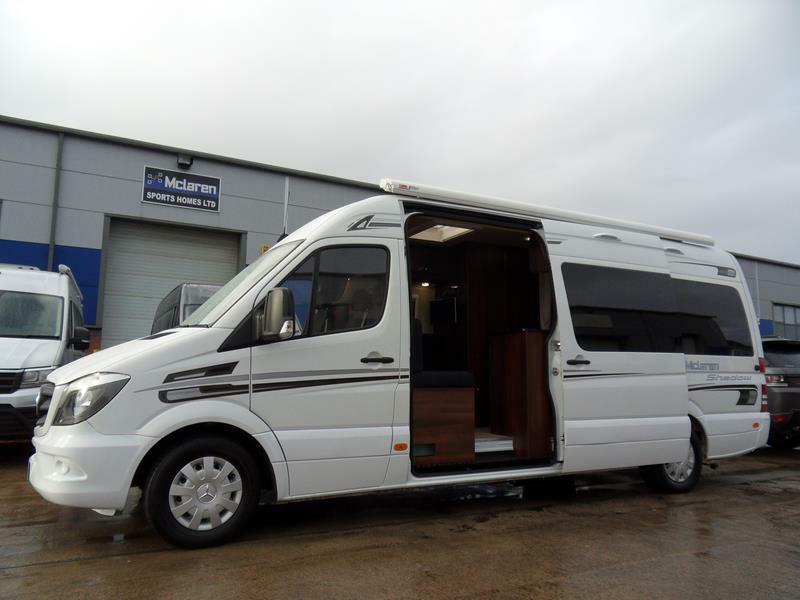 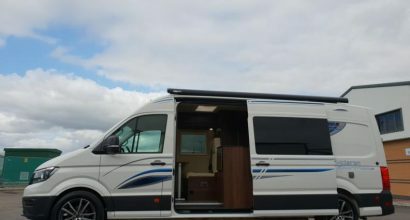 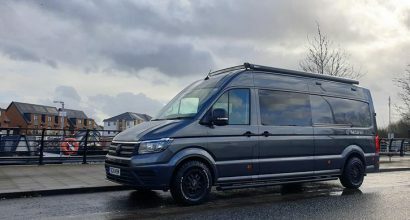 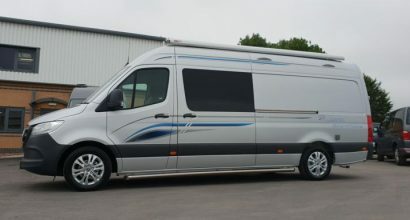 2017 140 PS Crafter available with NEW 4 berth Stepped bed Sporthome Conversion. 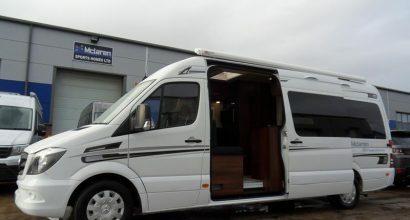 Only 7k Miles, Built on the LWB Trendline in Candy White with Cab AC. 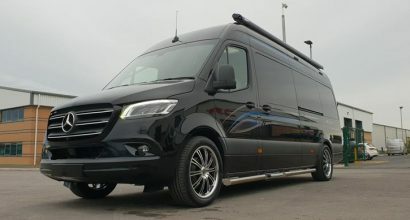 The very first of the all new Mercedes Sprinter's. 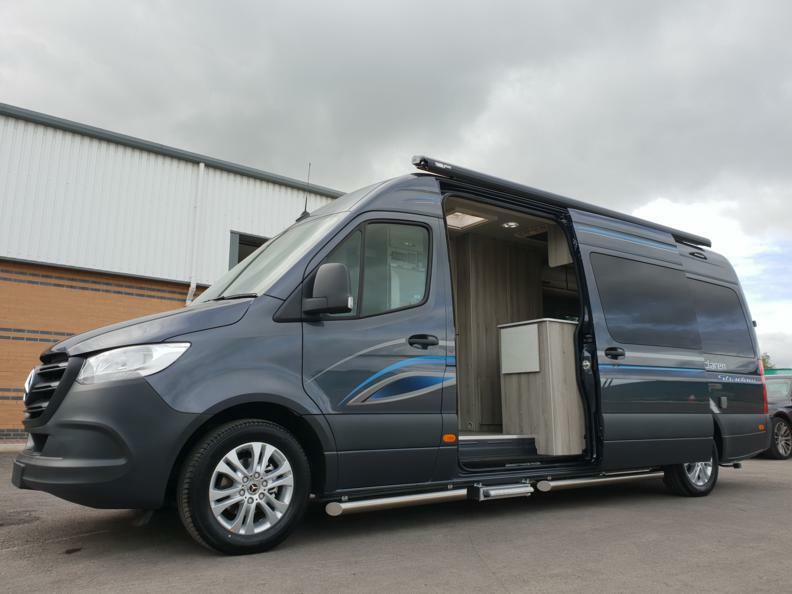 As standard the new Mercedes comes with a host of options but the customer did not stop there with the spec on this one.